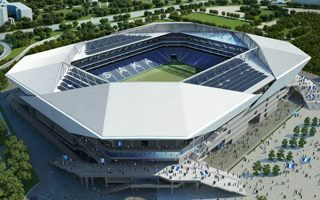 The stadium is planned as partly-independently financed project (mostly from donations), to be handed over to municipal authorities after completion. 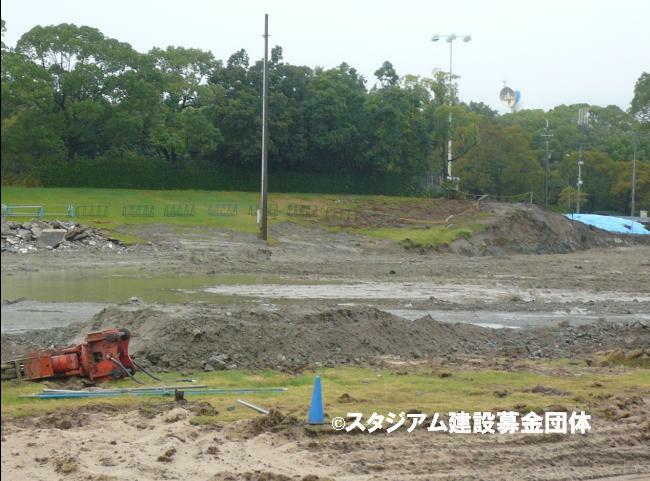 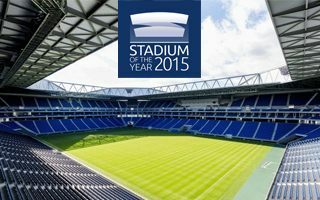 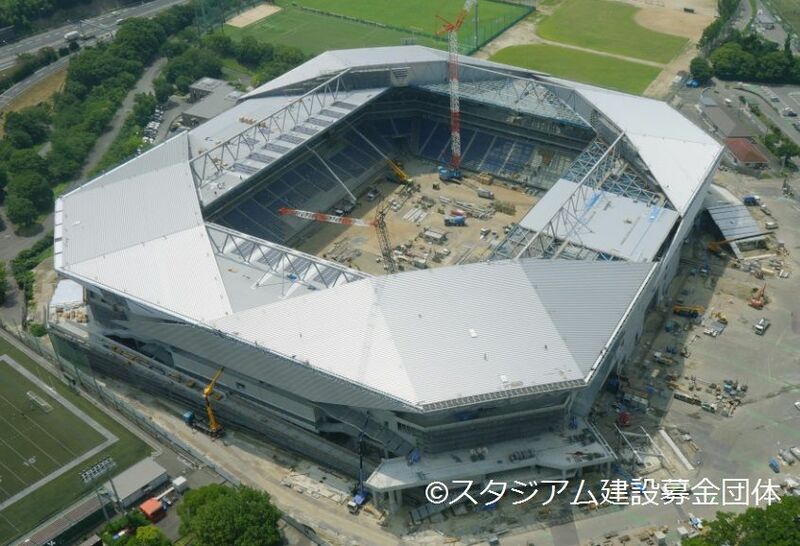 One of the largest football-specific venues in Japan, it is to become home to Gamba Osaka. 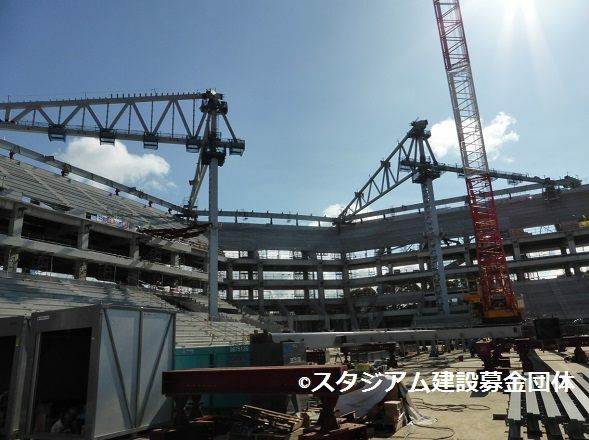 Initial vision showed stands being divided into two regular-seating tiers, divided by two levels of corporate suites. 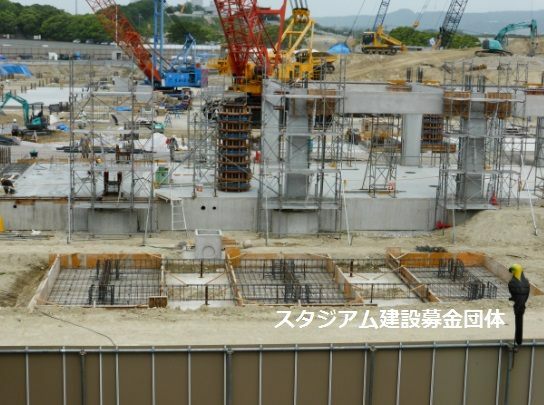 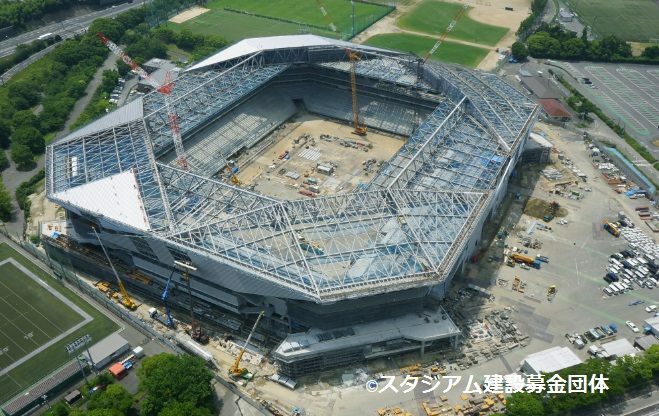 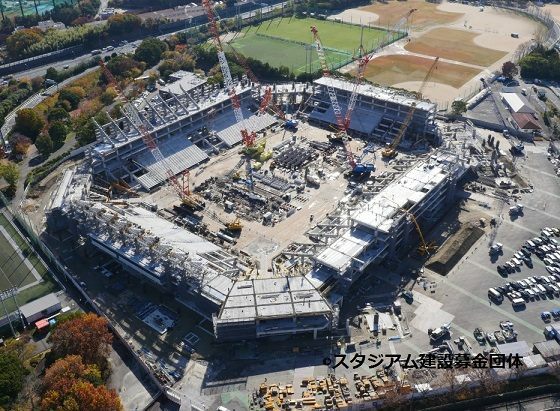 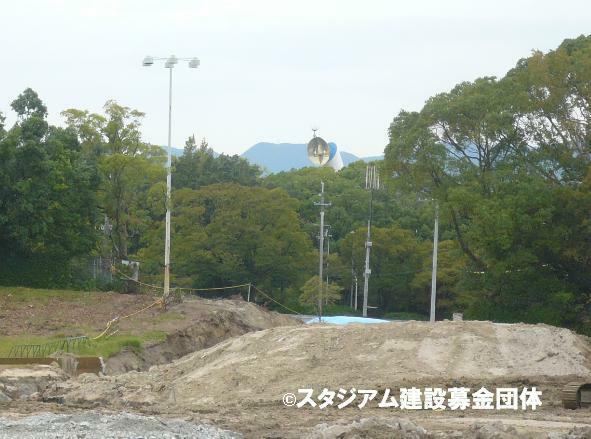 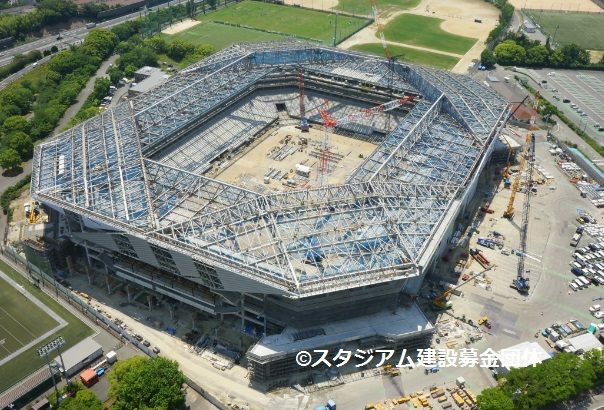 However, due to fan expectations and regulations for Japan national team games (demanding one end stand to have 10,000 people), one goal stand lost the skyboxes (reaching 40 rows instead of 28) and together with corner sections met the requirement. 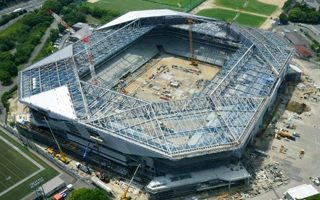 With a simple, but interesting form of rectangle wrapped in a metal frame in the corners, the venue is also expected to be energy-efficient and ecological, using known solutions like rainwater usage or photovoltaic panels on the roof. 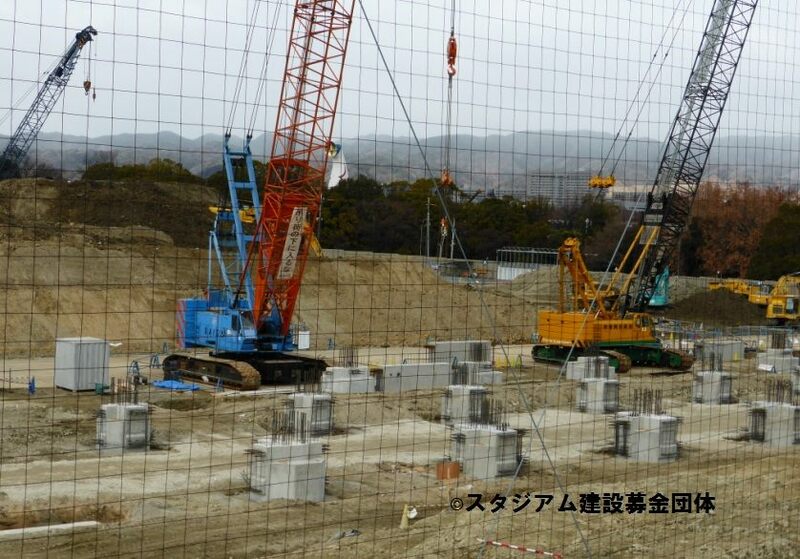 But less common to people from outside Japan are the means used for the event of a natural disaster. 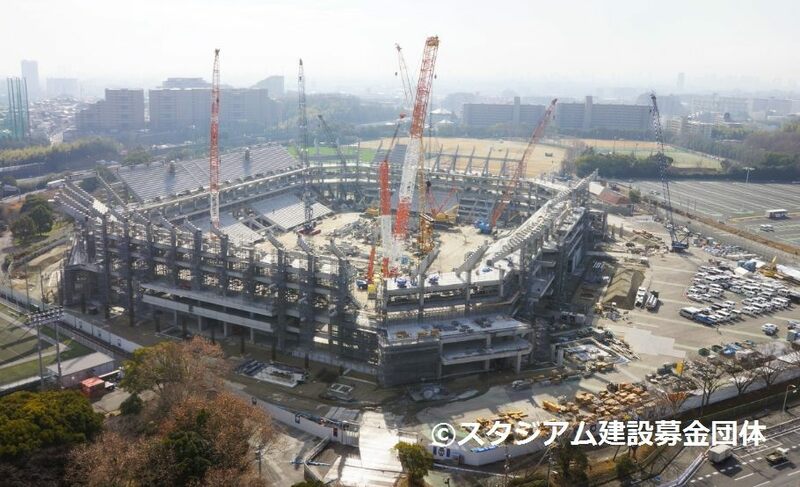 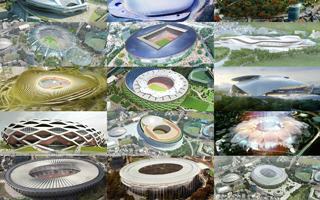 The stadium is expected to become a major shelter for people and warehouse for food and water.